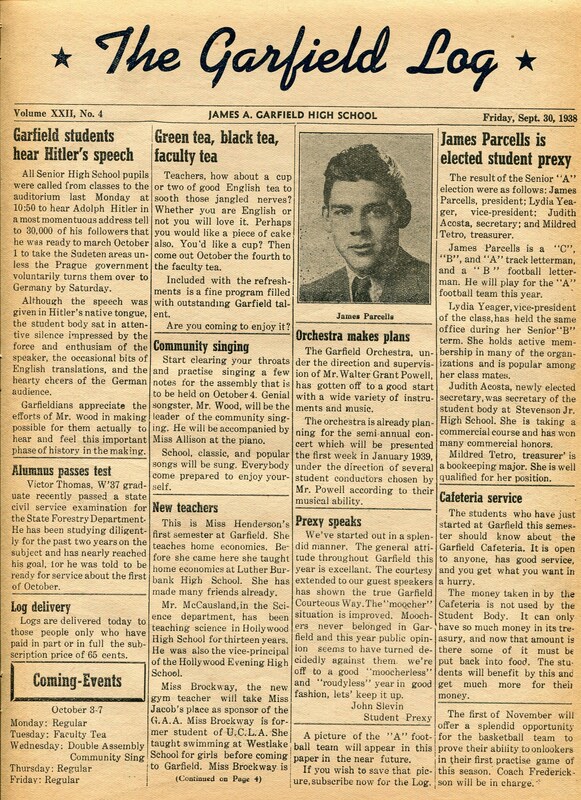 On Monday, September 26th, 1938, Garfield students sat in the auditorium to listen to a live radio broadcast of a speech made by Adolf Hitler (10:30am here, 7:30pm in Berlin). 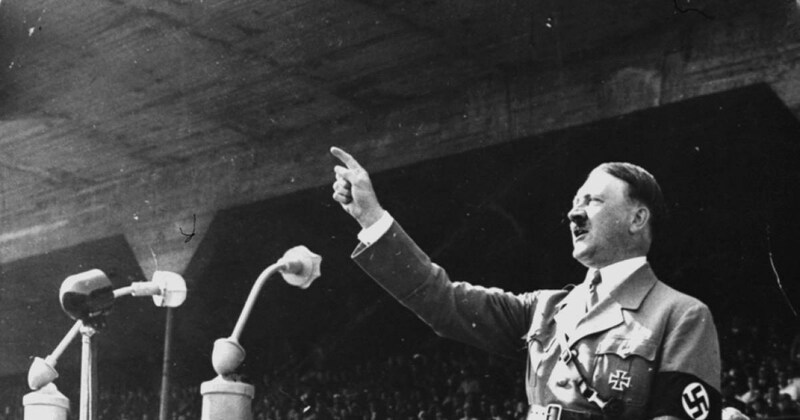 Hitler made his speech in the Berlin Sportpalast (Sports Palace) threatening Czechoslovakia with war. Using trumped up charges of the mistreatment of Germans in the Sudetenland of Czechoslovakia, Hitler demanded the Sudetenland be relinquished or face invasion. "My patience is exhausted", Hitler declared. "If Beneš (president of Czechoslovakia) does not want peace we will have to take matters into our own hands." This speech was broadcast to dozens of countries, to thousands of people, showcasing the power of media. In the speech, Hitler ridiculed and disparaged Czechoslovakia and its president, Eduard Beneš, who Winston Churchill nicknamed "Beans". Hitler screamed that Beneš was slowly but surely attempting to exterminate Germany. Referring to the memorandum he had presented to British Prime Minister Neville Chamberlain, and the offer he had made to the Czechs, Hitler indicated that his tolerance of Beneš was now at an end. With a sarcastic undertone, Hitler praised Chamberlain for his peace efforts and assured him that he had no further territorial demands in Europe once the Sudeten problem was solved. Hitler also guaranteed that he had no further interest in the Czech state. "We don't want any Czechs at all," he declared. The decision for peace is placed with Beneš. "He will either accept this offer and finally give freedom to the Germans, or we will take this freedom ourselves!" The crowd in the hall, which had interrupted almost every sentence with fanatical applause, shouted, cheered, and chanted. The Garfield students in the auditorium sat in silence. Unknown to them at the time, many of the students in the auditorium would soon be in uniform fighting to stop this madman . . . and some would never return.